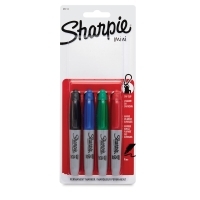 Sharpie Mini fine-point markers have all of the features that standard-size Sharpies are known for, but in a smaller 3½"-long size. There's a hook on the cap that attaches easily to your key chain or lanyard. You can also carry them comfortably in your pocket. 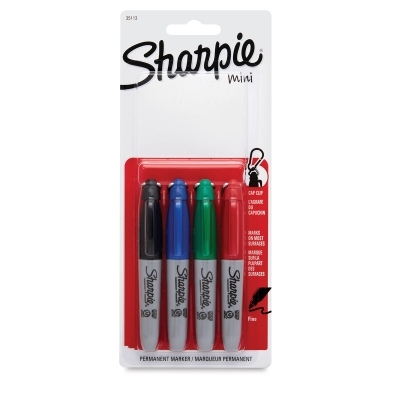 The permanent ink is quick drying and non-toxic. Set of 4 Assorted — Black, Red, Blue, and Green.